"Golmaal hai bhai sab golmaal hai!!!..." This was the song that was ringing in my ears constantly since the last two weeks. One of my articles 'Love, Rotis and apinch of wisdom from a mother' on Womensweb was copied and shared blatantly online on Facebook, Whatsapp and Blogs without my consent. I was not even acknowledged as the author. I had written the article originally for an Indispire prompt, where a mother writes an email to his son asking him to not laugh at the shapeless rotis that her daughter-in-law makes. It was a top post on Indiblogger. 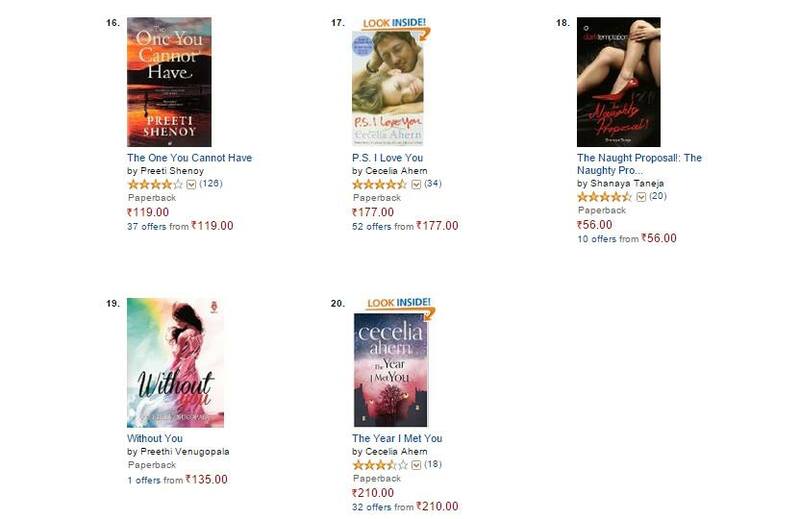 I then shared it with womensweb where I am registered as an author. It was published on June 16th 2015. There too it was very popular. The total number of page views on my article is now nearing 10,000 there. It was shared more than 400 times on Facebook and got more than 3000 likes. I was pleased beyond words. Even boasted about it to all my friends and relatives. And then the Golmal began. 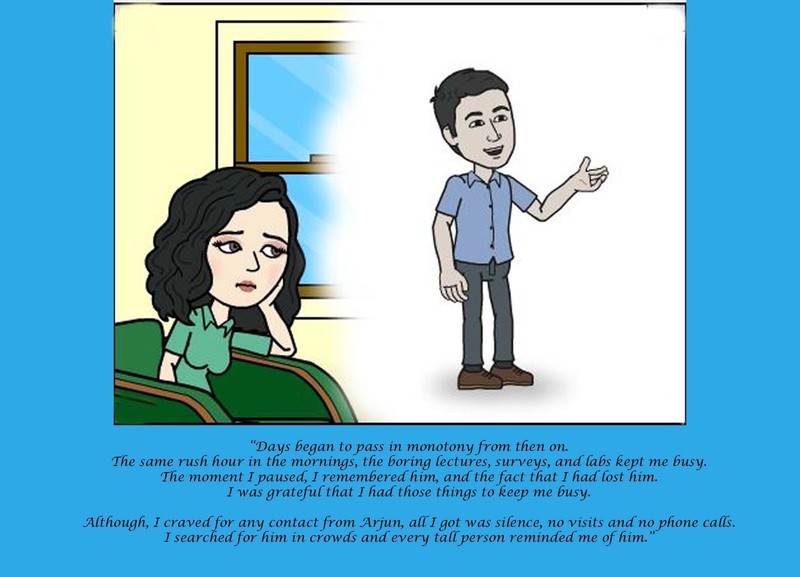 Some person copied it from the women’s web page and made it into a Whatsapp message. It went viral there. I got it from a friend in Dubai who forwarded it to me without knowing that I was the author. Another friend from Mumbai messaged me that my article was going viral on Whatsapp and that she saw it in 4 different groups in which she was member. A few others too told me the same. I was still okay with it as it showed that the article was being loved and the message it conveyed was reaching more people that way. And mostly because Whatsapp is a very mad world. No one has any control over the things going on there! I couldn't do anything. Then another friend on Facebook messaged me that a certain lady Manju Verma had copied the article on Facebook and that it was going viral. It was copied word by word from the article on the womensweb.in page. It has been shared on Facebook almost 30,000 times now. Check the snippet below. I was furious this time. I tried contacting her, messaged her through Facebook but there was no response. Then I put up a status asking for help from friends to report the post to Facebook. But Facebook merely told me that the post did not contain anything that violated their community standards. I was so miserable seeing that message. It just declared that anyone can copy our articles onto Facebook and pass it on as theirs. The post is still up. But I have reported it to Women's Web and they have promised to take definite action. Though the last two weeks were hard on me, I found out during this period as to who my well wishers were. 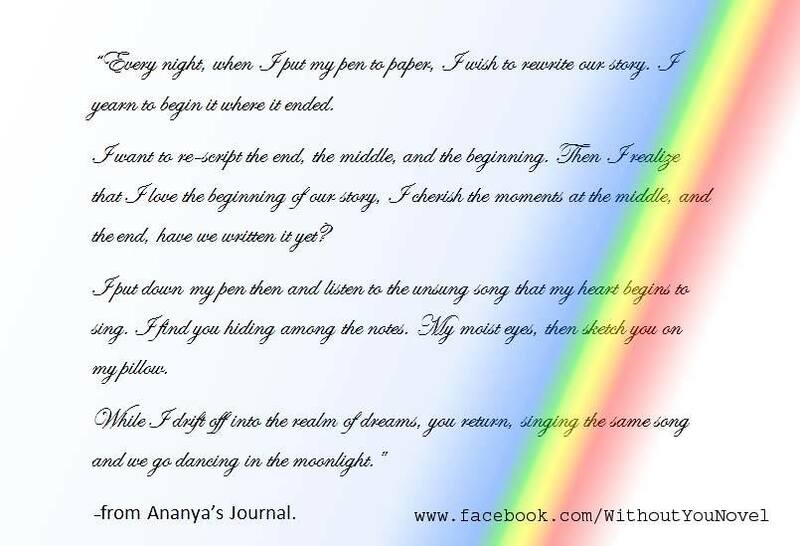 I wish to thank fellow bloggers and writers Aathira Jim, Roshan Radhakrishnan, Ganga Bharani, Sreesha Divakaran, Jaibala Rao, Vishal Bheero, Sid Balachandran, Rekha Dyani, Sachin Prabhu, Simran Kaur, Jyoti Menon, Deepti Menon, Sundari Venkitraman, Dinesh Radhakrishnan, Gayatri Aptekar, Anmol Rawat, Sumeetha manikandan, Shrruti Patole, Rhiti Bhose, Bill Bartlett, Devika Fernando and many others for supporting me. And a very special Thank you to my husband who commented on each and every place that he saw the article being shared, mentioning that it was plagiarized and that I had the copyright. You are a gem! So the song has now changed to this! Too na jaane aas paas hai Khuda!!! 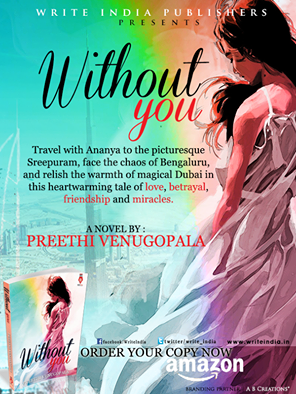 Here is a chance to win free copies of my book 'Without You' as part of a giveaway on Goodreads. Click the link below which will take you to Goodreads.com. Register for the Giveaway and you might just end up winning a free copy of my book which is getting rave reviews even before it completes a month after release. Giveaway ends July 23, 2015. This is the Indispire prompt on indiblogger this week. My answer is Yes, I follow it. Dreams create our tomorrows. When I look back to my past, a little dreamy eyed girl looks at me and smiles. I am living in her dream world now. I am a product of her imagination. 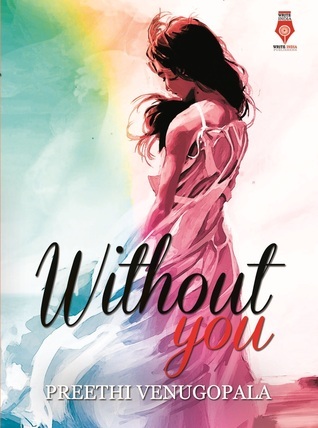 I have become a published author and my book 'Without You' is listed among bestsellers on amazon.in, besides some of the authors I love and adore. I am getting rave reviews. I remember how I used to dream about being happy, absolutely and insanely happy. I am happy these days. When a dream comes true; happiness follows. It gives further wings to my imagination and I let them soar high and far. Many more dreams, many more tomorrows await me to take me towards every destination and every scene that the little girl years ago visualized. There will always be people who will laugh at my dreams. There will always be people who would make every effort to see that I never achieved my dream. But all that dreamers like me can do is to dream more colorful and daring dreams. Don’t they teach us in school to aim at the stars, and then you will reach at least on top of a mountain? Let me do that. Won’t you join me? Let us dream more. Not only for our own individual growth but for the entire humanity. Let us dream that our tomorrows will hold rainbows on every dark cloud. That every storm will soon pass and that even the harshest winter will end one day. Let us dream that there will always be a guiding star that will pull us towards light. Let us dream that one day, all our dreams will come true. And let us follow our dreams and prove that dreams make our tomorrows.